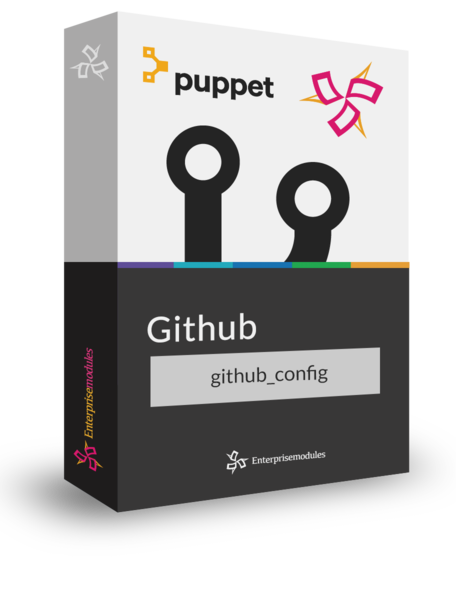 The github module is specially crafted Puppet module for managing GitHub. Git-based version systems have become the cornerstone of many best practices in development teams. In the last couple of years, with the rise of continuous delivery and continuous deployment, slowly but surely git has also gained a foothold in the operations environment. The DevOps mindset propagates the use of Infrastructure as Code and to put all this code in versioning systems like git. Or access to a GetHub Enterprise Server.